Elderton State Bank’s mission is to create long-term value for customers, shareholders, employees, and the communities we serve by providing high quality, personal service. 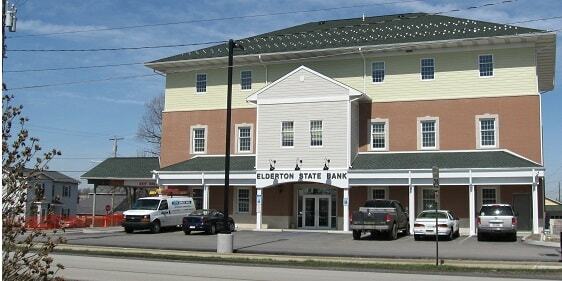 Elderton State Bank was founded in Elderton, Pennsylvania in 1919. Since that time, the Bank has grown in assets to over $230 million and serves customers in 20 Pennsylvania counties. Our strengths include dedicated employees providing personal attention to each individual customer and a strong commitment to the communities we serve. Our employees, management and directors are proud to unveil a new look for the Bank to take us to our centennial and beyond. With this new image, we will continue our focus in “The Right Direction”. Reach us Toll Free at (877) 491-4848 or email us at info@eldertonbank.com. Remember when emailing Elderton State Bank or any other institution or company; never include personal or confidential information in email messages, such as account information, PIN or password, or social security number. We will promptly return your message by telephone and answer your question.